A medical alert system offers a great option to help seniors respond to falls and other emergencies. More than 25 percent of people age 65 and older fall each year, yet less than half notify their doctor, according to the Centers for Disease Control and Prevention (CDC). 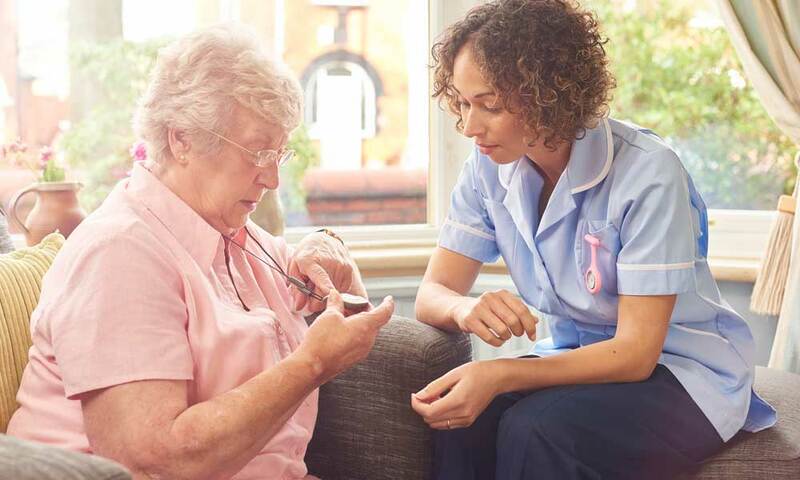 Fortunately, a medical alert system enables a senior to reach out for expert assistance in life-threatening situations. Before you purchase a medical alert system, it is important to learn about medical alert system pricing and accessories. By doing so, you can avoid unnecessary medical alert system costs. What Is a Medical Alert System Subscription? A medical alert system subscription provides 24/7 access to professional emergency technicians. For example, a Medical Guardian medical alert system subscription provides you with a lightweight and water-resistant medical alert button which can be worn around your neck or wrist or on a belt clip. After you press the medical alert system button, the device sends a wireless signal to the Medical Guardian monitoring center, notifying the center about your emergency. Next, a Medical Guardian operator immediately responds to your emergency and sends help as needed. Generally, the benefits of a medical alert system subscription extend beyond emergency assistance for seniors. This subscription provides convenient access to a medical alert system, along with system testing and support. In some instances, a subscription includes remote testing to confirm your medical alert button is properly synced with your in-home system. Or, some subscriptions provide low battery notifications. With a medical alert system subscription, you pay a monthly, quarterly, semi-annual, or annual service fee. A medical alert system subscription may require a contract, and if you break the terms of this agreement, you may be penalized. However, some medical alert system providers offer a 30-day money-back guarantee which allows you to cancel service without penalty. Medical alert system subscription providers sometimes require activation or shipping fees. As such, the terms and conditions of a medical alert system subscription agreement should be reviewed for activation, shipping, and other upfront costs. The overall cost of a subscription varies depending on the company, device features, and billing rate you select. A basic medical alert system subscription may cost anywhere from $20 to $40 per month. Comparatively, the cost of an advanced medical alert system subscription may range from $60 to $80 per month. Additionally, medical alert system subscription providers may offer lockboxes for home key storage, DSL filters for DSL phone users, and other accessories. If you select medical alert system subscription accessories, you will need to pay for these items upfront. Medical alert system subscription providers may offer discounts to new customers as well. 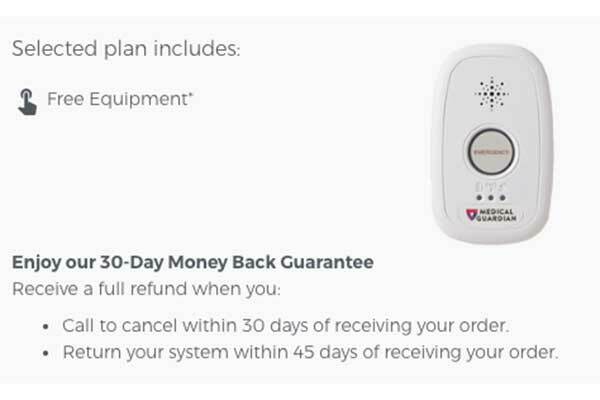 In fact, free shipping, no activation fees, and other perks may be available to those who shop around for the best medical alert system subscription. How Does a No-Fee Medical Alert System Work? Unlike a subscription-based system, a no-fee medical alert system connects you to 911 or a family member in the event of an emergency, bypassing monthly fees since there are no professional technicians acting as the middleman. A no-fee medical alert system usually includes a base station plugged into a phone jack and a wireless pendant you wear around your neck. If you need to reach out for emergency assistance, press the button on your pendant, and you are directly connected to an emergency responder. A no-fee medical alert system may require setup assistance. Often, a no-fee medical alert system provider will help you program the device so you can connect to family members, neighbors, 911, and others in an emergency. Like their subscription-based counterparts, the costs of no-fee medical alert systems differ based on the provider, device features, and other factors. Medical Alerts Systems HQ points out a typical no-fee medical alert system costs between $200 and $300. Plus, the system requires no fees beyond the upfront cost. No-fee medical alert system accessory features vary. For instance, some systems offer waterproof construction, enabling you to take your wireless pendant with you into the shower. Meanwhile, other systems offer fall-detection capabilities to instantly send an emergency alert if you fall. Which Is Better: A Subscription-Based or No-Fee Medical Alert System? There is a lot to like about subscription-based and no-fee medical alert systems. Ultimately, a subscription-based or no-fee medical alert system may prove to be the difference between life and death in an emergency, as it enables you to reach first responders without delay. Location of family and friends – If you spend most of your time at home and you have family or friends nearby, you may want to choose a no-fee medical alert system. On the other hand, if you don’t have family or friends within driving distance, a subscription-based medical alert system might offer peace of mind. 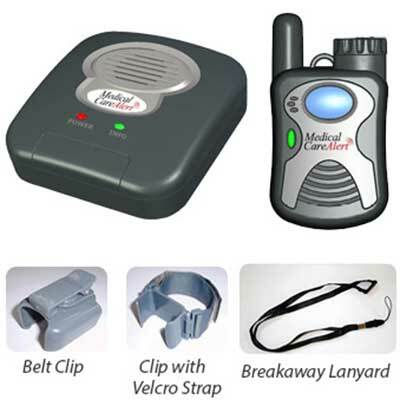 Accessories– Medical alert system providers may offer lanyards, lockboxes, DSL filters, belt clips, clips with velcro straps and other accessories to help you get the most out of your investment. Monitoring – A subscription-based medical alert system offers round-the-clock monitoring, and if an emergency occurs, you can reach a first responder in seconds. Conversely, a no-fee medical alert system includes programmed phone numbers; it requires you to press a button to alert family members and others in an emergency. Pricing – A no-fee medical alert systems require a one-time charge, and as a result, may be more economical than a subscription-based option. Setup – You should be able to set up a medical alert system and understand how to use it correctly in an emergency. Whichever system you choose, make sure test signals are administered and received. Customer service – If you select a medical alert system provider capable of providing outstanding customer service, you can receive expert assistance at your convenience. There is no shortage of subscription-based and no-fee medical alert systems available. By conducting a comprehensive search, you can find a medical alert system to suit you perfectly. Falls are the primary cause of fatal and non-fatal injuries among seniors, the National Council on Aging notes. Now, medical alert systems enable seniors to quickly notify first responders in the event of a fall or any other emergency. If you evaluate medical alert systems, their pricing, and their accessories, you can make an informed purchase decision. Then, you can reap the benefits of a medical alert system both now and in the future. 6 Mistakes to Avoid When Shopping for a Medical Alert System Choosing a Medical Alert System: 3 Questions You Need to Ask Does Medicare Cover the Cost of Medical Alert Systems?